In this article we will go over the Order List Report. 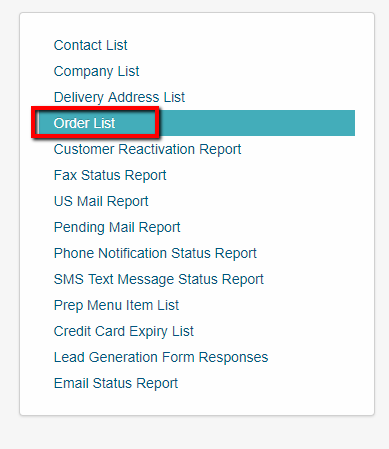 The order list will allow you to view all the orders that you have in your your account. You will have the option for parameters to view specific orders. 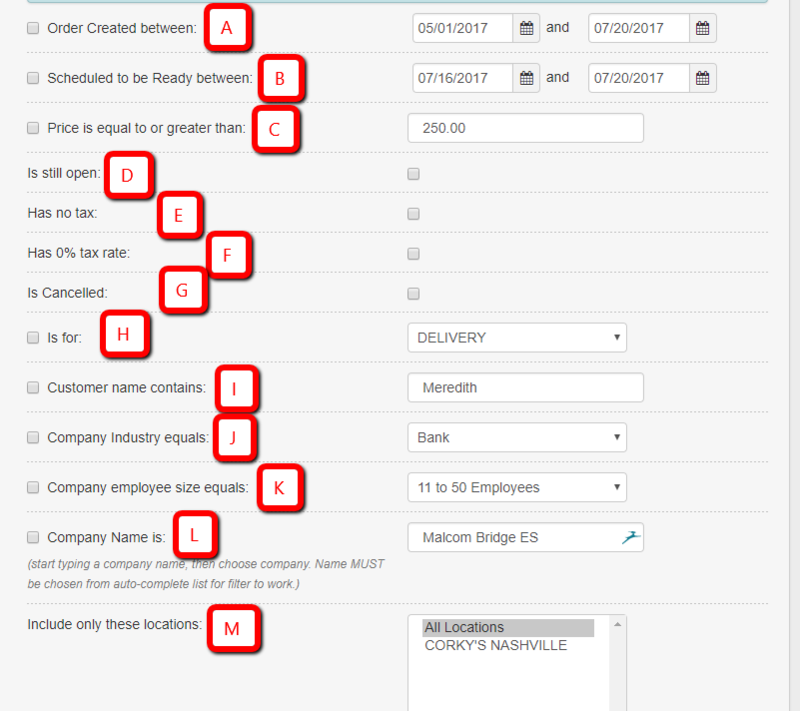 Once all the parameter have been selected then the Excel file will show: Customer Name and Phone, Company Name, Date Order was Created, Date Order was Ready for, Date Order was Sent, Restaurant Location Address, Is the Order Open, Is the Order Cancelled, Total Price, Tax Amount, Tax Rate, Tip Amount, Coupon Amount, Coupon Name, Order Type, Order Notes and Delivery Address. 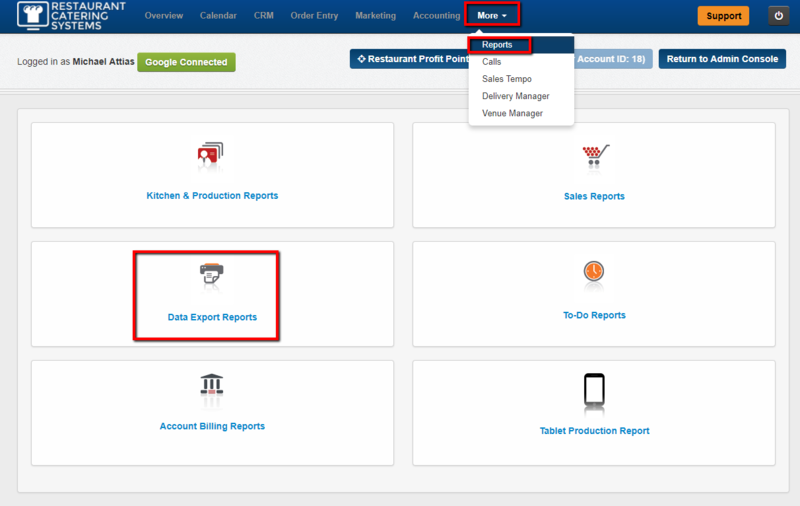 1 - Click on the More tab - Reports tab - Data Export tab. 2 - Next click on the Order List link. 3 - Next you will have parameters that you can choose. Make sure to check off the the box to the left of the parameter you want to select. Note - remember to check the box to the right of the parameter that you are selecting. 4 - Once you are done with the parameter selections you can click on the Generate Report tab. 5 - Your report will then download to your computer. 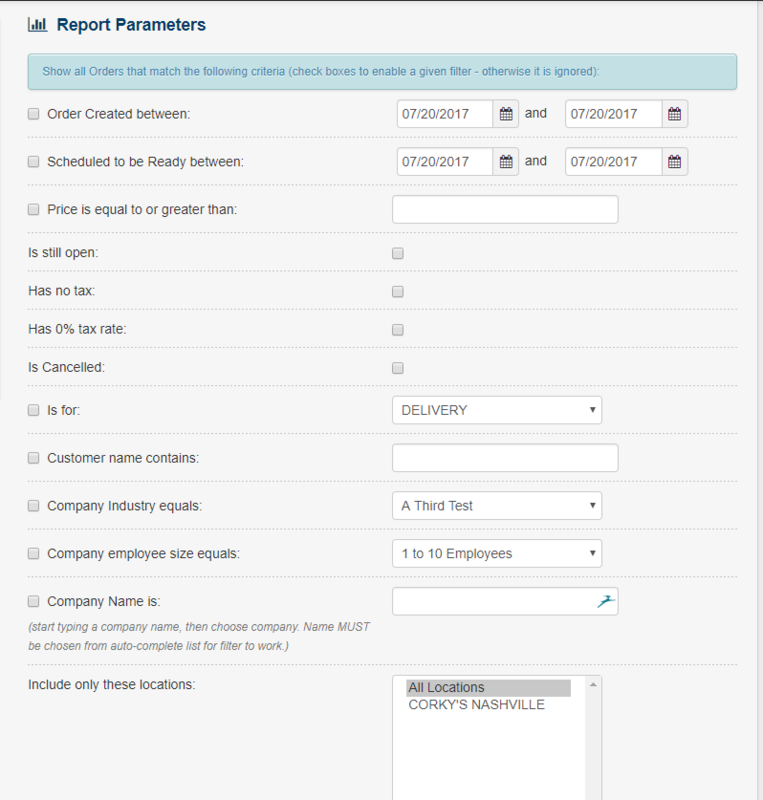 Note you can have your report emailed to you by clicking the Click Here link. 6 - You will then be able to view your report in Excel.